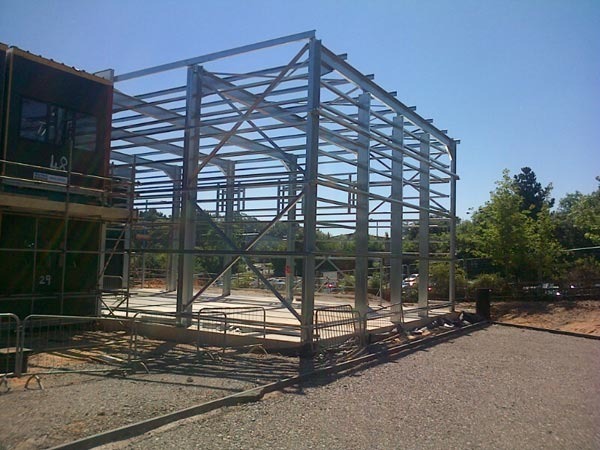 Structural Steel Frame Buildings in Hot rolled & Lightweight Galvanised Cold Rolled Steel. 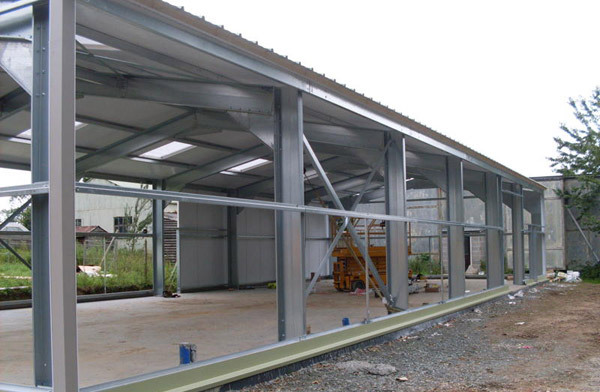 Engineering Solutions offer two alternatives to clients requiring new build steel structures or extensions, whether small garages or industrial units, through to agricultural sheds, farm buildings or industrial portal frame buildings. For provide a turn key solution on simple portal frame warehouse constructions. 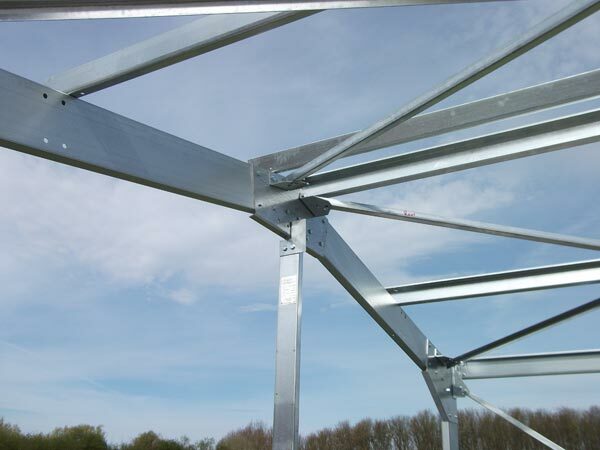 Option 1: Hot rolled steel structures. 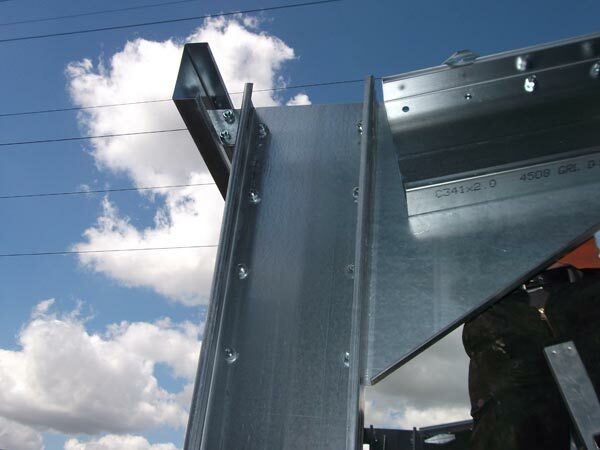 Galvanised or shot blasted and painted to suit the environment and requirements of the building. Complete with cold rolled purlins and rails to support roofing and cladding systems. Option 2: Cold rolled lightweight structures. Engineered lightweight sections can be simply installed to create buildings either bolted down onto an existing floor slab (depending on quality of the slab) or mounted off concrete foundations. Please note that we can provide supply only structural steelwork & roofing / cladding buildings or provide a ‘turn key’ installation service. 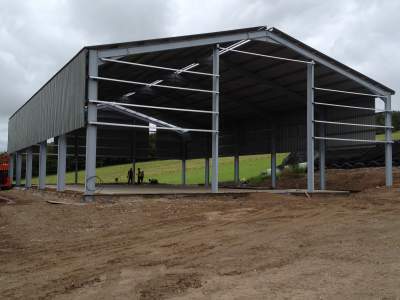 Please contact us for prices our steel buildings or fill in our online form.